• Drifts into negative territory for the fourth consecutive session. • Dovish ECB decision/BOE rate hike prospects weighing. 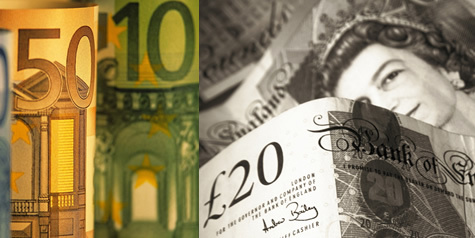 After an initial uptick to mid-0.8800s, the EUR/GBP cross ran through some fresh offers and drifted into negative territory for the fourth consecutive session. The cross extended its rejection slide from the key 0.9000 psychological mark and touched a 4-week low, around the 0.8815 region in the past hour. Thursday's dovish ECB decision, to reduce the size of its monthly asset purchases but extend the bond-buying program through at least September 2018, has been one of the key factors behind the shared currency's relative underperformance. Moreover, prospects for an imminent BOE rate hike action, against the backdrop of last week's upbeat UK GDP growth figures, underpinned the British Pound and further collaborated to the pair's slide to its lowest level since Oct. 2. Bulls now look forward to the prelim German CPI print for some immediate respite, but the key focus would remain on Wednesday's BOE monetary policy meeting. A follow through weakness below the 0.8800 handle could get extended towards 0.8785-80 horizontal support, which if broken could accelerate the fall towards the very important 200-day SMA support near mid-0.8700s. On the upside, 0.8855-60 zone now seems to have emerged as immediate resistance, above which the cross could aim towards surpassing the 0.8900 handle and head towards testing 0.8930 hurdle.